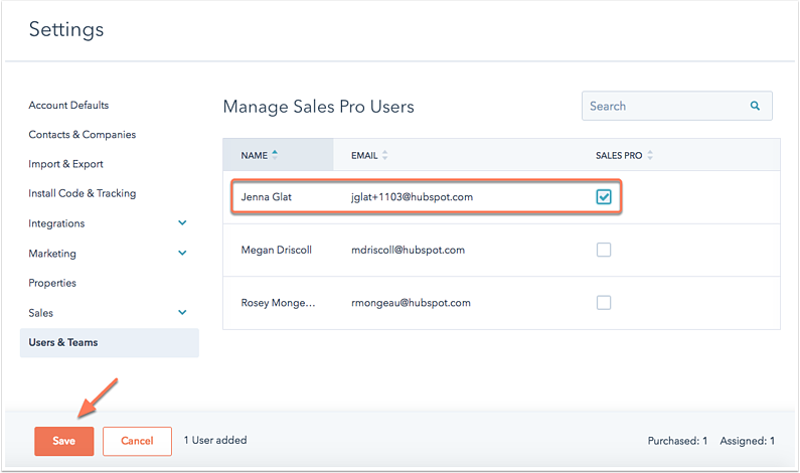 If you have admin access in a HubSpot Sales Hub or Service Hub account, you can give other users access to the paid sales and/or service features included in your subscription. Each time you give access to a user, you are assigning one seat. 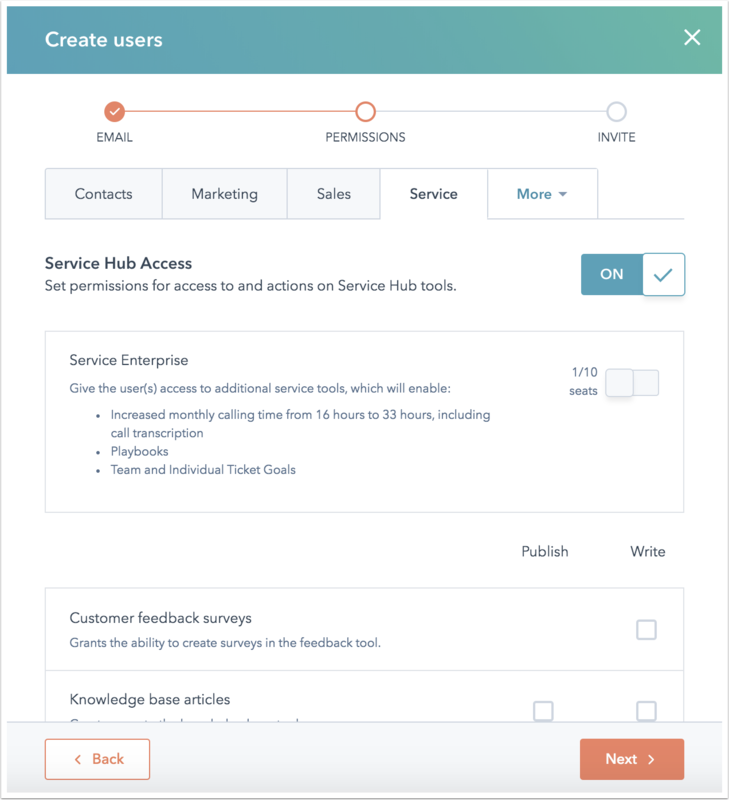 If users in accounts with paid Sales Hub or Service Hub subscriptions have not been assigned a seat, they will not have access to paid subscription features. You can add more seats to your account on a per-user basis. For more information, contact the HubSpot sales team. In the right pane, enter the email address of your new user and click Next. 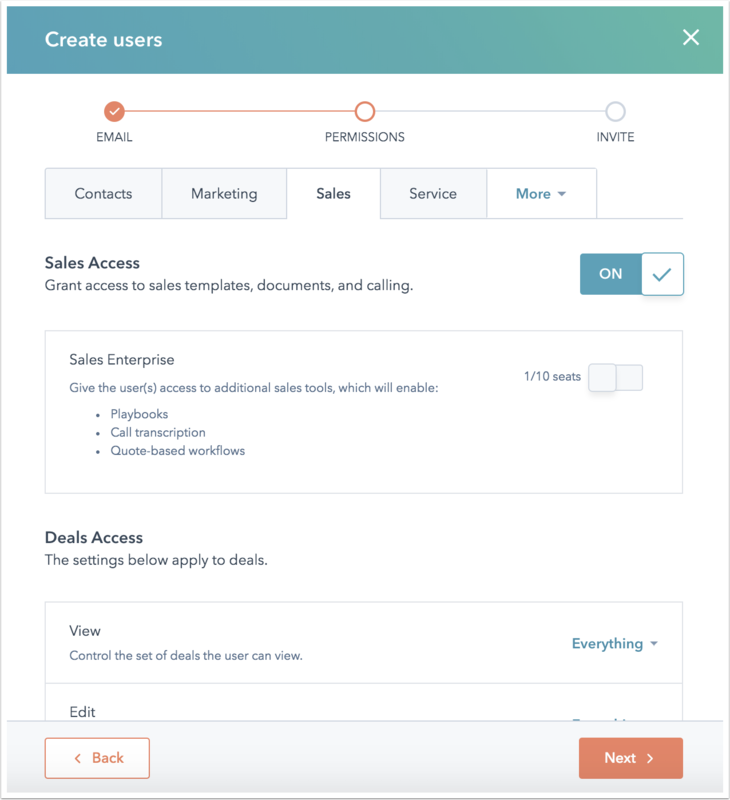 Click to toggle the Sales Access switch on, then click to toggle the Sales Starter, Professional, or Enterprise switch on. If you've already allocated all of the Sales Hub seats you've purchased, click Purchase another User to buy more seats. Click to toggle the Service Hub Access switch on, then click to toggle the Service Starter, Professional, or Enterprise switch on. Assign any other permissions as needed, then complete the setup for your new user. Click the Actions dropdown menu and select Manage Paid Users. You'll see the number of purchased and assigned seats in the bottom right. To assign a seat to or remove access for a user, select or clear the checkbox next to the user. To delete paid users, you must first remove any Sales Hub and/or Service Hub access they have.